Reference: BOG member Steve Long, who had the courage to call for BOG Chair Harry Smith's replacement, based on Smith's bullying yet another university chancellor into premature retirement -- ECU's Chancellor Cecil Staton. 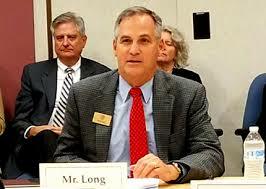 Fellow BOG member Tom Fetzer, former chair of the NCGOP and one of Chair Smith's strongest lieutenants, has reportedly been lining up votes to formally censure Steve Long for his criticism of Chair Smith, such censure resolution to be sprung during Day Two of the BOG's meeting on the campus of AppState -- in other words, tomorrow. Since that plan to censure Steve Long has been outed publicly, will it happen anyway, in the full glare of press coverage?